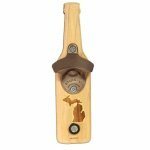 Sometimes a bottle opener is MORE than just a bottle opener! We think everyday objects with character just make things more fun. 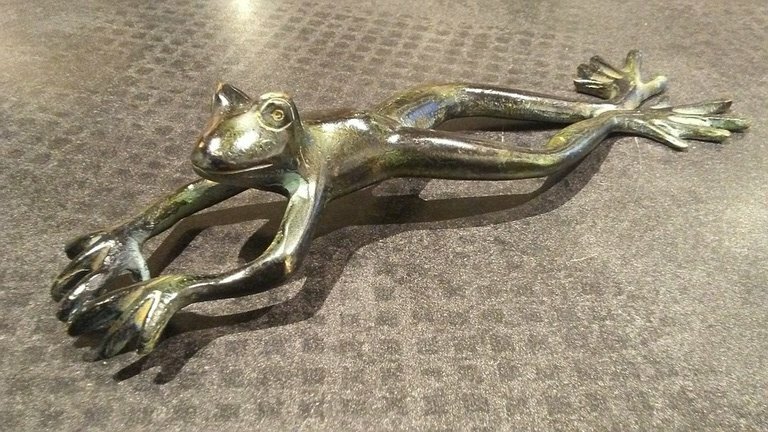 Open bottles with a smile each time you reach for this frog, hand-cast in Vermont - an original design by Bruce Baker. The hand painted green finish varies a little. With a fun and ergonomic design, this frog opens bottles with ease. It makes a great gift or addition to any kitchen. 8: long, cast of brass with a hand-painted greenish black finish.